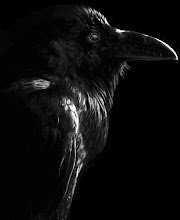 Nevermore: The Raevyn Reviews Enchanted. Enchanted - The most offensive Disney film since..that black centaur in Fantasia? Father and daughter in car. Father hands daughter a birthday present. Is book. ‘Happy working song’ (Vermin are a good thing). ‘How does she know you love her?’ (merchandise equals love). ‘I’ve been dreaming of a true love’s kiss’ (not everyone who works in musicals is gay).